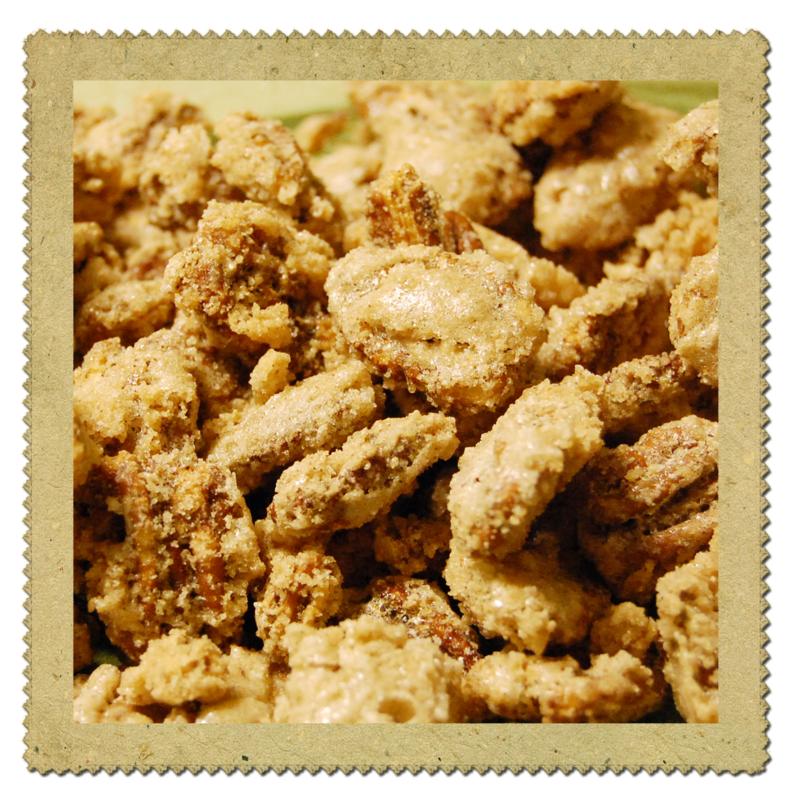 Candied Pecans - Nekaro & Co. This is the first time that I've attempted to make candied pecans. I've eaten them at different family functions, but never made them myself. They were so easy to make! Pre-heat your oven to 250F. Go ahead and grease your baking sheet. In a large bowl, whip together the egg white and water until it's frothy. In a separate bowl, mix together sugar, salt, and ground cinnamon. Add pecans to egg mix and coat the pecans evenly. Pour pecans into the sugar mix and toss them! Spread them out evenly on greased baking sheet. Bake for 1 hour in 250F oven, stirring every 15 mins. I only made one batch. That was one pound of pecans! And they only lasted about 15 minutes in my house! Super easy to make, super yummy, and they go super quick! Maybe we should call them Super Pecans!